Title :'AIRLINE' #366 12/2009 Japanese airplane magazine Language : Japanese. This is an official book. Release Date :12/2009 Number : #366 Total Pages : 160 pages Condition : USED. Very Good. No missing page. 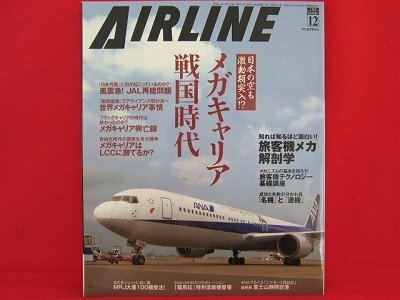 Description:This book is a magazine to enjoy airline and airplane in all over the world. If you read it, you will learn the airline of Japan and all over the world. If you love airline don't miss it!